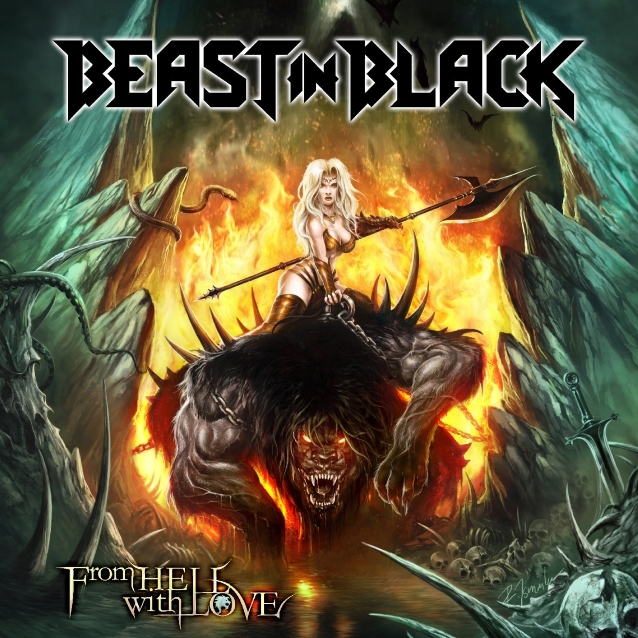 The official music video for "From Hell With Love", the title track of the sophomore album from BEAST IN BLACK, can be seen below. 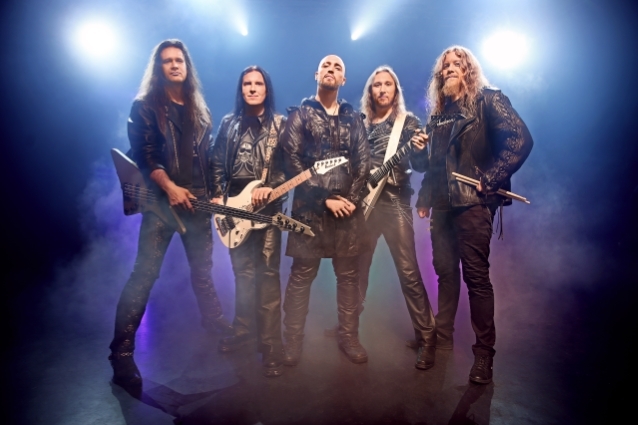 The disc was released on February 8 via Nuclear Blast. In a recent interview with Hardwired, Anton stated about the '80s rock and pop ovetones on "From Hell With Love": "Songwriting is always a natural process. You just write what you hear in your head, so it's more of a listening process. When you write something, you try to listen to the song and what it needs, and just put it there. I don't know how clear this explanation is, but that's how it is for me more or less. The elements that are there that make it '80s… I believe in the '80s they made a lot of evergreens. It's not actually about me believing it, it's the fact that there are lots of evergreen hits coming from that time. I listened to a lot of that stuff during my life. And I like it, which is why it comes naturally when you absorb the things you like the most — it's there inside you. And when you write, it comes from the subconscious, a musical idea you can't really pinpoint at the moment of writing. But you still write it, because you think it sounds cool. And the choice of instrumentation, what kind of keyboard sounds. It's a matter of taste as well. I just really like the '80s soundscape and the instrument sounds, mainly the keyboards. And also all of the band members are fans of the '80s music. We love melodic music very much, so it's only natural for us to make an album like this. We didn't deliberately try to do an '80s album. It just happened that after the selection of the songs the wholeness ended up being strongly '80s. But I never thought, 'Hey, let's make a super '80s album.' It's just how it turned out."